The premier machine automation solution includes all of the software and hardware you need to build truly differentiated high-performance machines with a proven and significant reduction in development times for faster time to market. They also offer improved machine performance that will increase throughput, reduce waste and much improve OEE (overall equipment effectiveness) for your customers. The Kollmorgen Automation Suite ™ includes an integrated single development environment in dedicated Panel PAC hardware as an embedded PC platform that combines graphical programming for all automation, motion, communications and HMI functions - and works seamlessly with Kollmorgen best-in-class motion components to allow designers to create high performance motion-centric automated machines. Programming is straighforward with fast and easy-to-use graphical software using the Pipe Network or industry standard IEC 61131-3 programming constructs with drag and drop function blocks for common tasks. 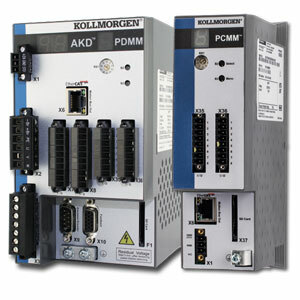 This combines with debugging support and set-up programs, simulation modules, and many other motion and machine control functions that run on Kollmorgen’s industrial PC, PAC or panel PC based hardware.